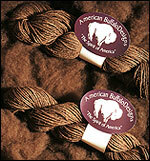 WE WILL ANNOUNCE WHEN THE 2009 AMERICAN BUFFALO LINE WILL BE AVAILABLE. 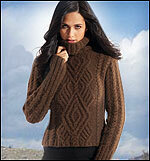 CURRENTLY YARN IS AVAILABLE, SCARVES AND HAND KNITTED ACCESSORIES. and we will notify you when it becomes available. Buffalo Leather Gloves lined with the Buffalo down.